Realme today confirmed that it will soon release a new U series smartphone powered by MediaTek's new Helio P70 chipset. A report published earlier this week claimed Realme will soon launch a new U series mobile powered by a MediaTek Helio P70 octa-core processor. Realme has now confirmed officially that it will indeed be launching a brand-new U series smartphone, which will be the world’s first smartphone to be powered by a MediaTek Helio P70 chipset. 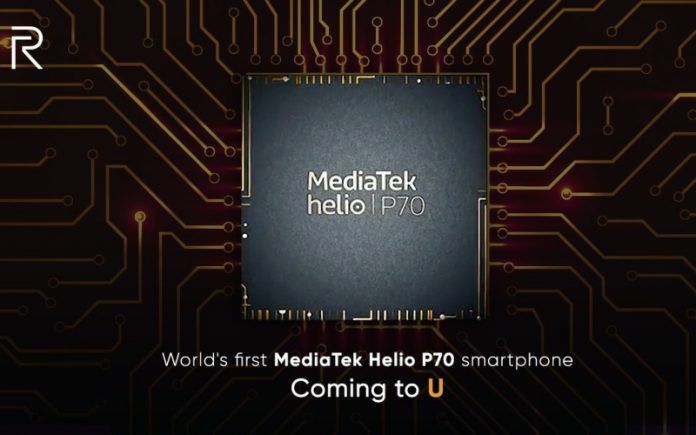 MediaTek had announced the Helio P70 chipset last month, bringing a few key improvements compared to the Helio P60 that powered the Realme 1 and several other budget Android smartphones. 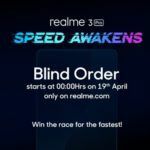 Shortly after the official announcement by MediaTek, Realme had confirmed that it would be the first manufacturer to release a smartphone powered by the new chipset. 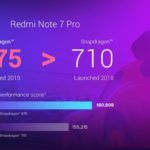 Until now, most of us were expecting the Realme 2 Pro successor to be the first smartphone to be powered by the MediaTek Helio P70 SoC. Now, however, Realme has made it quite clear that the first Helio P70-powered smartphone will be a new U series device. While Realme has not revealed any other information regarding the upcoming U series smartphone yet, a recent report had claimed it would be a selfie-centric smartphone. The MediaTek Helio P70 uses the TSMC 12nm FinFET process, just like its predecessor. However, it offers a slight improvement in performance compared to the Helio P60, thanks to increased clock speeds. The octa-core processor comes with ARM Cortex-A73 cores clocked at up to 2.1 GHz and efficiency-oriented ARM Cortex-A53 cores clocked at 2.0 GHz. For enhanced graphics performance, the Helio P70 comes with an ARM Mali-G72 MP3 GPU clocked at up to 900 MHz. MediaTek says the processor delivers a 13% improvement in performance compared to the Helio P60. The Helio P70 also comes with a new high-resolution depth engine to offer a 3X boost in depth-mapping performance. 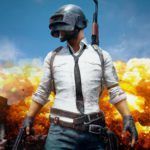 This allows for smoother 24fps visual bokeh previews. Some of the other key highlights of the chipset include real-time HDR capture support, RAW-domain multi-frame HDR capture, hardware warping engine for Electronic Image Stabilization (EIS), and AI facial detection with intelligent scene detection. Currently, the only key feature of the upcoming Realme U series smartphone that has been officially confirmed is the MediaTek Helio P70 processor. The rest of the smartphone’s hardware specifications remain a complete mystery at this point. 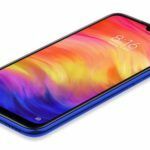 However, if the recent report is to be believed, the Realme U series smartphone will come with an impressive selfie camera on the front, allowing it to take on smartphones such as the Xiaomi Redmi Y2 (review) The resolution of the selfie snapper, however, has not been revealed yet. In terms of design, we can expect the Realme U series smartphone to be similar to the Realme 2 Pro with a Dewdrop notch. It may also be the first Realme smartphone to come with VOOC fast charging support. Connectivity features will include Wi-Fi 802.11 a/b/g/n/ac dual-band, Bluetooth 4.2 Low Energy, GPS with A-GPS, GLONASS, BeiDou, FM radio, and 4G VoLTE. On the software front, it could be launched with Android 8.1 Oreo-based ColorOS 5.2 out of the box. The selfie-centric Realme U series smartphone is expected to be launched in India sometime later this month. In India, the handset is rumored to be priced under INR 15,000. Similar to the Realme 1 and the Realme 2 Pro, we expect the U series smartphone to be available in multiple memory configurations.